Another in the long tradition of flying Brazilian fullbacks, Maicon was probably his country’s best player in the World Cup, and scored a goal from a mind-bendingly acute angle. A force of nature on the right flank, which he dominates with greater assurance than any other fullback on the planet right now. Maicon’s raw physicality, his pace and skill on the ball and his ability to charge up and down the pitch as if he had pistons in his legs, is unmatched by all save perhaps Daniel Alves. Maicon is a more commanding defender than his countryman, however. He has been virtually flawless for the best part of four years with Inter Milan, winning the Scudetto in each and every one of those seasons, and capping it all off with a remarkable treble in 2009/10. Reputed to be hungering after fresh challenges with Real Madrid, where he would like to hook up with former boss Jose Mourinho. Inter have wisely refused to let Maicon go at any price. The man with the calamitous injury record finally managed to keep himself (relatively) healthy to deliver a career best season for Bayern Munich. Long touted as potentially the world’s best player – the devastatingly fast winger has a skill set comparable to Cristiano Ronaldo or Lionel Messi – at least when he’s fit enough to show it. Sadly, Robben spent so much time on the treatment table with Chelsea and Real Madrid, it was beginning to feel as if his potential would never be realised. A switch to Bayern Munich under the tutelage of fellow countryman Luis Van Gaal proved to be just the tonic. Robben was an inspirational force as the Bavarian giants snatched the Bundesliga Championship and marched all the way through to the Champions League final. It was Robben who did the most to get them there after a stunning volley from the edge of the area against Manchester United in the quater final showdown. Robben capped off his season with a fine showing in the World Cup; persistently Holland’s most potent attacking weapon on the road to the final against Spain. Robben possesses exceptional pace, balance and skill on the ball, as well as offering precision from his shots and crosses. When fit he is one of the most dashing and exhilarating footballers on the planet. Just keep him wrapped in cotton wool and hope he makes it through the new season unscathed. Plagued by injuries and indifferent form in recent years, Drogba’s motivation has been rekindled under the stewardship of Carlo Ancelotti. He’s just come off what is quite possibly a career best season, notching a formidable 37 goals in 44 appearances across all competitions, en route to his club’s first ever league and cup double. 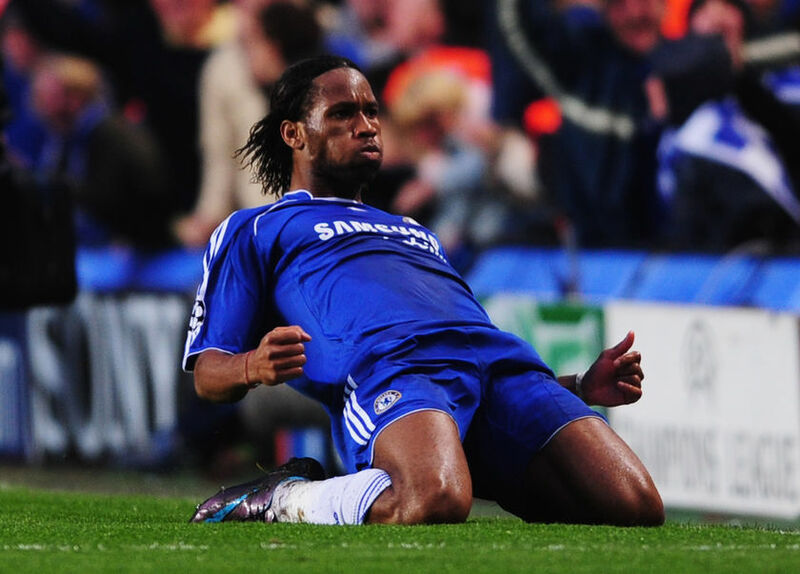 At one time widely derided for his perceived sullen attitude and questionable gamesmanship, there’s no getting away from Drogba’s out and out effectiveness when fit and properly motivated. No other striker on the planet has Drogba’s pure physical presence. He is powerful enough to overcome all but the most domineering of defenders. But it would be a mistake to view Drogba purely as a battering ram style of player. He is more than capable with a ball at his feet, and the quality of his touch has often been underrated. And of course, there is also his unstoppable finishing power. Drogba is the sort of player that defenders just hate to face off against, because they inevitably come off the worse for wear. A truly talismanic figure at international level for Cote d’Voire, a broken arm sadly prevented Drogba from making the expected impact in the World Cup. Overshadowed by Lionel Messi and yet to really duplicate the form of his magnificent 2007/08 EPL and Champions League winning season for Manchester United, Ronaldo’s reputation has slipped somewhat in recent years. A rather disappointing World Cup campaign with Portugal hasn’t really helped matters. It would nonetheless be a gross mistake to write Ronaldo off as a player. Despite Real Madrid (narrowly) missing out on silverware in Ronaldo’s debut season with the club, he still struck an incredible 33 goals in 35 games across all competitions. If he hadn’t of suffered a lengthy injury spell in mid-season, then Real Madrid might well have pipped Barcelona in the Spanish league title race. Ronaldo’s power, pace, incisive dribbling and ability to finish from long range shots and free kicks makes him one of the world’s most deadly football players. There’s still the sense that he tends to put his own interests ahead of the team’s, that he could stand to bring his team mates into the game a bit more, but given his individual decisiveness, what team wouldn’t like to have Ronaldo on board anyway? It perhaps hasn’t been the best season of Iniesta’s career – there were times when his output was a bit flat – but when you consider that he still finished up with another league title and scored the winning goal in the World Cup final, he can’t be doing too much wrong. Iniesta never really is very far away from being named the world’s best player. His close control is simply mesmerising at times. He has a similar capacity to Zinedine Zidane, in that he just glides effortlessly away from defenders. And former manager Frank Rijkaard’s description of Iniesta’s passing being like “handing out sweets” still seems very apt. 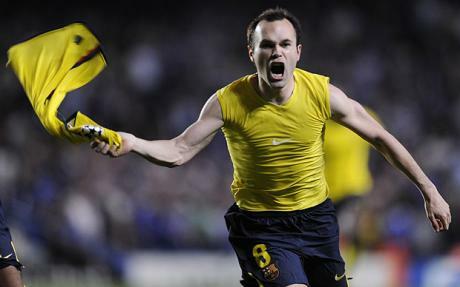 The only slight issue is Iniesta’s occasional lack of composure in front of goal. 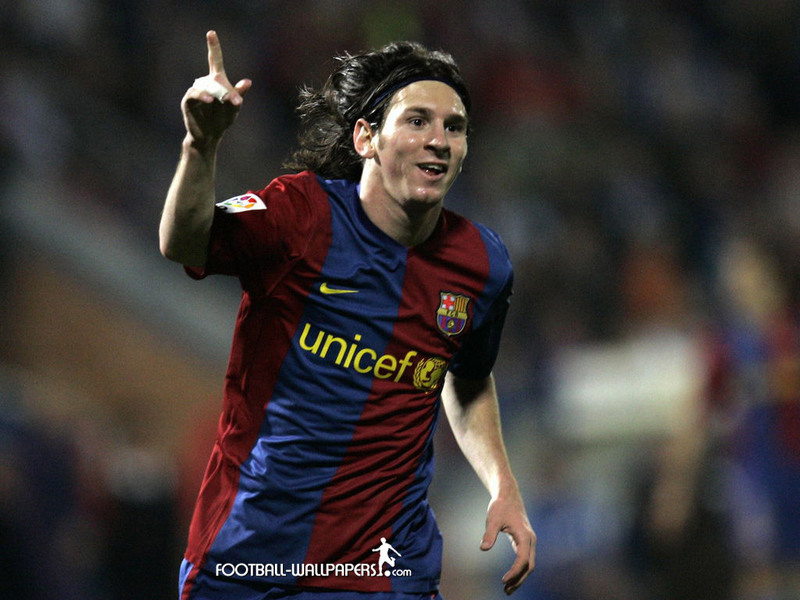 He prefers to defer the responsibility to his team mates, and often misses the target when he does have a shot. Still, when you can score the equaliser in a Champions League semi final and the winner in a World Cup final, it doesn’t seem to matter if you don’t score in other games all that much. Iniesta’s partnership with Xavi has become absolutely indispensable for both club and country. They enjoy a special understanding that helps to make them both better players and goes a long way to explaining why Barcelona are the world’s top club side and Spain the top international team. Simply a gem of a player who has probably not quite reached full maturity; the best is surely still to come from Iniesta. Manchester United never knew what they were missing out on. It would be a shame to keep harping on about Forlan’s barren two year stint with the Premier League giants, however, since he’s been decisively proving his outstanding quality ever since. Forlan won his second European Golden Shoe in the 2008/09 season by scoring a jaw dropping 32 goals in 33 games. He didn’t notch quite as many last season, but still managed to carry an often out of sorts Atletico Madrid to a respectable league finish and the club’s first ever UEFA Cup. The best was reserved for the World Cup, however, in which Forlan was deservedly named the Golden Ball winner for his superlative all around displays. 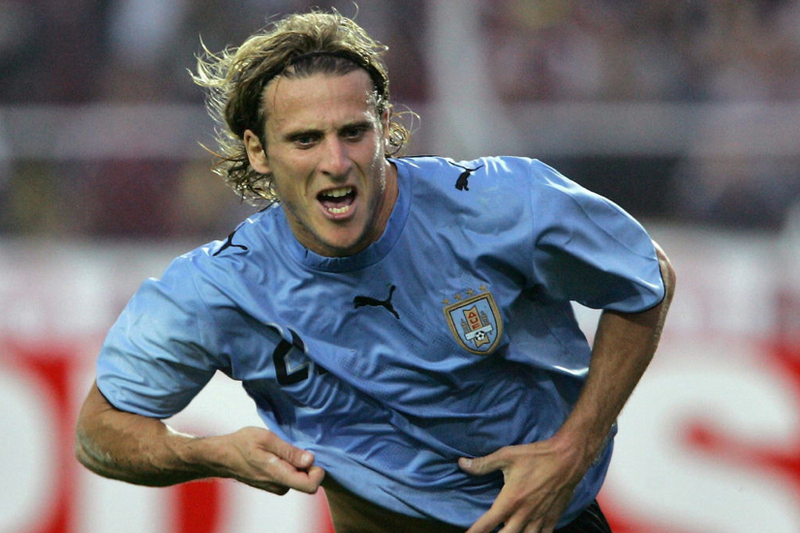 Forlan notched 5 goals – 3 of them from outside the area – and spearheaded Uruguay’s attacking play as the South Americans achieved their best World Cup finish in 40 years. Forlan’s skilful two-footed play, sharp, intelligent movement and ability to apply constant pressure to opposition defences puts him at the heart of all the action for both club and country. He can finish powerfully and accurately from a variety of ranges and angles, seemingly out of nothing on occasion. A remarkably mature and well rounded player who appears to be getting better with age. It seems quite remarkable that – despite being perhaps the most consistently prolific goal scorer in both club and international competition over the last six seasons – David Villa has never really received his due recognition as one of the world’s finest football players. The Spanish football press virtually ignores anybody who doesn’t play for Barcelona or Real Madrid, while the English media is curiously fixated with national team mate, Fernando Torres. But an honest assessment of Villa’s splendid attributes – his pace, quality of first touch and exceptional mobility, along with his impeccably timed diagonal runs and unflappable composure in front of goal – can really leave you in no doubt as to the identity of the most complete striker in modern football. While rival forwards suffer periodic lapses in form, Villa’s gifts just keep on giving. Even when his club, Valencia CF, have failed to make much of an impact on the Spanish league in recent years, Villa always seems to deliver the goods, plundering goal after goal. And while trophies at club level have been rather thin on the ground, Villa has tasted the heights of success with Spain, winning both Euro 2008 and the 2010 World Cup, finishing each tournament as the top scorer. The recent transfer to Barcelona will surely give Villa the opportunity to express himself to his fullest capabilities, and earn his just recognition as the world’s top striker. There’s no arguing Xavi’s resume over the last couple of years. The European Championship, the Champions League, 2 Spanish League titles and the World Cup. What else is left to win? The real testament to Xavi’s brilliance, however, is that he was arguably the most important and influential player in winning each and every one of those trophies. It’s been quite a remarkable career trajectory. From low key yet well respected midfield lynchpin to one of the greatest players in the world, all in the space of a few short years. Xavi can now happily take a spot alongside such luminaries as Nils Liedholm, Didi and Lothar Matthaus as one of the finest central midfielders of this or any other age. Even more remarkable is that – in the hard edged, ultra athletic modern game – Xavi has been successful with such modest physical gifts. He is slightly built and not notably fast or powerful, but his grace, subtlety and vision allow him to dominate matches like no other. Xavi is living proof that skill and intelligence can still overcome brute force. He best espouses the philosophy of both Barcelona FC and the Spanish national team: that possession football is the only way to play the game. Keep the ball, stay composed, and pass the opposition to death. There’s not another player who does it better. There’s no longer any serious debate over the identity of the world’s greatest player. The truth is, Lionel Messi is now so far ahead of everybody else that to speak of rivals is really doing him an injustice. While Barcelona’s overall team performance might be said to have faltered somewhat last season, Messi somehow managed to find another gear, and delivered the finest performances of his young career so far. The top scorer in La Liga. The top scorer in the Champions League. The winner of the European Golden Shoe. Another league title in his trophy cabinet. Even leaving aside his thrilling bursts of acceleration, jaw dropping close control and agility on the turn, Messi’s record of 45 goals in 46 starts for his club this season looks like a statistical anomaly, a throwback to the era when games with score lines like 6 – 3 were still commonplace. The only remaining quibble is that Messi still hasn’t quite managed to replicate his club form on the international stage. His World Cup appearances for Argentina were rarely less than mesmerising, but ultimately fell short of his full capabilities. No matter. At just 23 years of age, Messi has plenty of time to pick up international honours. For now he will have to console himself with the mantle of being the best player at the world’s top football club. We have truly witnessed something special with the emergence of Lionel Messi. He’s the kind of player that only comes along once or twice in a lifetime. A player who literally drops your jaw to the floor every time he touches the ball. If you can’t find cause to celebrate when Messi is on the pitch, then you’re simply not a football fan. This entry was posted on Friday, October 8th, 2010 at 9:26 pm and is filed under Uncategorized. You can follow any responses to this entry through the RSS 2.0 feed. You can leave a response, or trackback from your own site. Good stuff. Messi is such a special player. For example, I was at a conference about Afghanistan a couple weeks ago. People from all over the world came. The seminar room that I was in was locked down due to a protest on campus, and, considering we didn’t have much in common, you know what we did to pass the time? Watched videos of Messi on youtube. People from Armenia to Pakistan, all sitting around “oohing” and “aahing” as Messi tore it up. Reminded me why this is the beautiful game and how special players like Messi are. Good list Rob, I wouldn’t be too sure about Lucío being in the Top 10 but I’m not doubting he’s a good player. Nice to see a seemingly unbias opinion on this matter, every list I see seems to hate certain clubs and rank great players much lower than they should be. Top notch work mate.